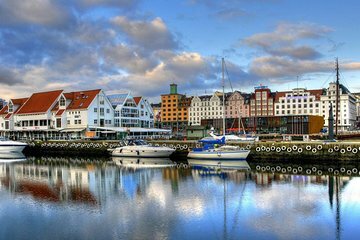 Spend your shore excursion in Oslo in the company of a private guide during this driving tour. Get personalized attention and enjoy a flexible itinerary while visiting the city's highlights, such as the Oslo Opera House, the Cathedral, Slottsparken, Akershus Castle, and the Oslo Fjord. Disembark from your cruise ship and meet your private guide outside the port gates after docking. Climb into a private vehicle and take off on your comprehensive tour of Oslo. Start with a visit to Akershus Castle, a 13th-century fortress, where you'll learn about the important role it played in Norway's military history. The castle now hosts the Armed Forces Museum. Continue on to the Royal Palace and Park, also known as Slottsparken, where you can stroll around to take in the scenery. You can also choose to visit the Oslo Opera House, the Oslo Fjord, the Oslo Cathedral, or the Holmenkollen Ski Jump from the 1952 Olympics. Return to your departure point for drop-off at the end of your tour.